Some of us have had moments in life when things align and preparation meets opportunity to launch us toward purpose. At 18 years old, for me, that moment was my first year at UCF. As a minority male and first-generation college student with a terminal degree, I have said that I truly believe that education is the last great equalizer in our country. I grew up in Tallahassee, Florida, as the youngest of three sons, and my parents poured into me the importance of loving God, caring for family and education. As a child I didn’t notice it at the time, but they were instilling into me a set of principles that would guide me throughout life. When I arrived at UCF, my first thought was that this campus is huge and this place is going to swallow me whole. For my peers who weren’t first-generation college students, maybe it didn’t feel so big. Perhaps they felt normal or they were able to lean on the experiences of their family to navigate in and around college. For me nothing was familiar and there was no family around to guide me through the process. I sometimes smile that my parents dropped me off a few days before classes at a hotel near campus with a few dollars, a hug, kiss and prayer. They either had a lot of faith or were completely out of their minds! Either way, after they left, I drove to campus and stood in front of the Reflecting Pond, with Millican Hall to my right and the library to my left. I stood in that spot for a while and I let it all sink in. This was my moment. I knew that this was the place that I would grow into a man, where my dreams would become reality and where I would meet some of the people that would be my friends for life. I knew, that at least for the foreseeable future, this would be home. I knew that this was the place that I would grow into a man, where my dreams would become reality and where I would meet some of the people that would be my friends for life. It wasn’t something I hoped for. I knew it. This was 17 years ago and since then I have graduated from UCF three times, been an instructor and administrator at private universities in Central Florida, and now, of course, I’m back to the place where it all began. I can’t help but be reflective; I did grow into a man, many of my dreams did become reality and the friends that I made here are my kids’ godparents, my travel buddies and really a part of my extended family. It’s amazing how far this university has come since I first walked on campus in the fall of 2001, but what’s even more exciting is the passion I see others have for UCF regardless of whether they are alumni, faculty, staff, friends and/or students. I have to think that they, too, “get” it. They get that this is the launching pad for so many. They get that this is “the moment” that can change everything, level the playing field just a little for those that weren’t historically allowed to play. This sentiment is shared by so many other individuals that have used higher education as a catalyst to ignite their dreams and to break generational cycles of poverty. 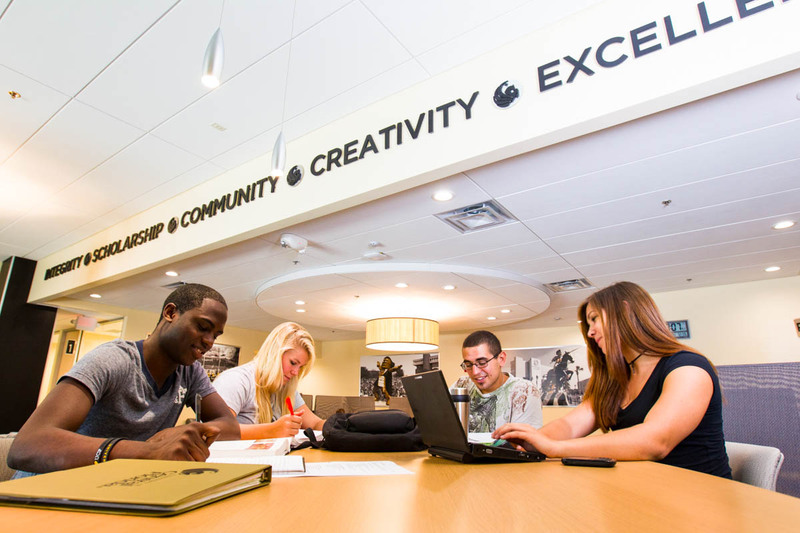 With UCF’s more than 68,000 students and one of the largest enrollments in the country, I am proud to be a part of an institution that embraces inclusion and access. It has been the great equalizer and I am honored to be a part of this moment for so many students. Curtis L. Proctor is the associate director for advancement for the University of Central Florida’s College of Community Innovation and Education. He can be reached at Curtis.Proctor@ucf.edu.